In a short stroll down the main entrance hallway at Landstown High School March 19, you could hear eight different languages being spoken, witness two kinds of dancing, learn how to be a gentleman and discuss basic tenants of leadership, kindness and tolerance. 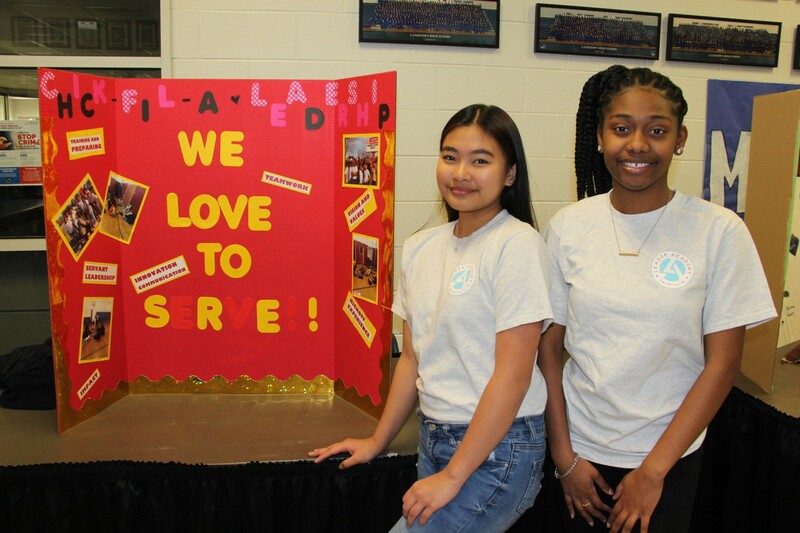 It was all part of the Equity Council Student Showcase, an event designed to give Virginia Beach City Public Schools (VBCPS) staff, students, parents and community members a sampling of the more than 140 minority and gender achievement organizations found throughout division campuses. 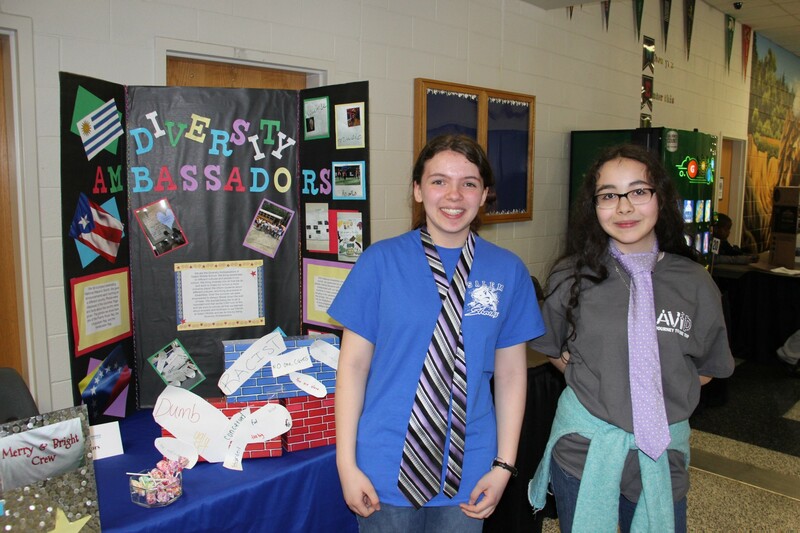 Fifteen schools brought ambassadors of their clubs for this sixth annual event that allows Equity Council members and other distinguished guests to interact with students and club sponsors in a gallery format. One of those clubs was Diversity Ambassadors. “We work to bring inclusiveness into our school and tell people about different cultures and different people,” Salem Middle School seventh-grader Madelynn Ennis explained. In honor of National Hispanic Month, for instance, her club gave facts about and showed flags of relevant countries to the school during announcements. She was quite confident in her sales pitch to other students. “If you want to help people see why they should include others, not just tell them ‘You have to include people,’ you should be in this club,” she said. Robert Lanz, guidance department chair at Salem Middle School, said “I think it’s important for us to see what else is happening in the district, to see what other schools are doing.” His school brought members of three clubs, all of whom were greeting and explaining their organizations to visitors. “It’s also a huge benefit for our students to have the opportunity to present, talk to and meet other people,” he added. And that’s exactly what VBCPS leadership is hoping students get from being a part of one or more of these clubs. “The VBCPS Equity Council Student Showcase puts VBCPS core values into action and extends the knowledge of our diverse clubs’ positive impact both in and outside of our schools,” said Dr. LaQuiche Parrott, director of the office of opportunity and achievement.